Drug Offenses & Drug Trafficking Category Archives — Tampa Bay Criminal Defense Lawyer Blog Published by Clearwater Florida Criminal Defense Attorney — St. Petersburg DUI Defense Lawyer — Blake & Dorsten, P.A. The Fourth Amendment to the U.S. Constitution is one of the most important constitutional protections afforded to citizens. That constitutional amendment protects citizens from unreasonable searches and seizures by law enforcement. For example, the police cannot simply pat you down and go rummaging through your pockets for no reason. In fact, there are only a few reasons where they can engage in this kind of search. When they do so without a valid basis, that search is illegal, and the items found in the search should not be allowed as evidence at your trial. 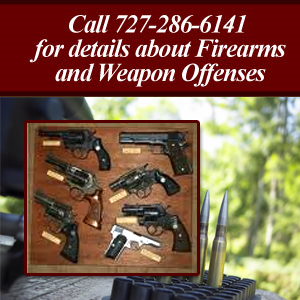 Making sure that you are getting the full protection of your constitutional rights requires many things, and one the biggest ones is a skilled Tampa Bay criminal defense attorney. As an example of how an illegal search can occur, consider the recent case of T.N. two St. Petersburg police officers spotted T.N. sitting at a picnic table in a park that had closed 90 minutes earlier. Based on the park’s closed status, the officers approached T.N. He told them he was just leaving and headed toward his bicycle. The officers commanded T.N. to stop and, eventually grabbed the man’s bicycle so he couldn’t leave. They arrested him for violating a St. Petersburg city ordinance that bans people from being in city parks after hours. Pursuant to that arrest, the officers searched T.N., at which point they found a concealed firearm and illegal drugs. At trial, the state charged the man with carrying a concealed firearm and two drug possession counts. Over the last five years, there has been a gradual rolling back of the laws on marijuana in the United States. Although still illegal at a federal level, several states (and an ever-increasing number) have legalized the drug, meaning that you can now buy it over-the-counter in stores from Seattle to Denver. As with any drug, marijuana affects brain function, and, as a result, inhibits driving ability. This has led to concerns about the impact of marijuana legalization on road safety. As the graph below shows, legalization has been driven by (or has driven) growing marijuana usage in the United States. Sometimes, one can learn useful tips, even as a non-lawyer, from court opinions. They can highlight important legal rules or they can inform readers that the state of the law has changed. Other times, you don’t need a court opinion. A brief news story or two may tell you all you need to know. A recent incident that occurred in Central Florida is a stark reminder that the gulf between trying to handle your criminal case by yourself, as opposed to entrusting an experienced local attorney, can be very wide. In other words, don’t risk your future; contact an experienced Tampa Bay criminal defense attorney about your criminal charges right away. The occurrence began, according to a villages-news.com report, when local police responded to an alleged disturbance during the wee hours of Nov. 30. The police spotted A.L.P., a 28-year-old woman, whom they alleged was on foot, stumbling drunk and about to drive away in a SUV. A check of her driver’s license revealed that she was driving on a restricted (“business purposes only”) license. According to the police, they gave the woman multiple chances to call for a ride home. Instead, she allegedly fought the officers and required the threat of a taser before cooperating. As all this transpired, the police searched the woman’s vehicle and allegedly found a marijuana grinder with small amounts of the drug in it. Today, in this age of the Internet and social media, “Florida man” has become something of a meme, as “Florida man” is arguably infamous for finding trouble in unique and sometimes head-scratching ways. Often, Internet news sources play these stories for laughs. However, these stories involve real people who are often facing really serious crimes based upon their alleged actions. 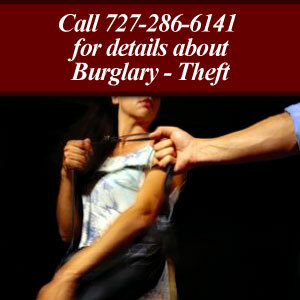 While you may never be the subject of a “Florida man”-type story, what you should be sure you know is that, regardless of how ordinary or extraordinary the facts are in the criminal case facing you or a loved one, you need to be sure you have an experienced Tampa Bay criminal defense attorney on your side to ensure you or your loved one gets the justice you need. NBC Miami recently reported on an incident it flagged as an “Only in Florida” story. P.E., a man from Pinellas County, was inside a home and approached a locked “lock box.” He broke into the box and found a bottle labeled “hydrocodone acetaminophen,” which is a powerful opioid painkiller. P.E. poured the bottle’s contents into his hands and left the home. P.E. was caught on video engaging in this theft. According to the report, P.E. discovered, after leaving the home, that what he had was not hydrocodone, acetaminophen, or any other type of opioid. What he had was a handful of “Equate Gentle Laxatives.” “Equate” is the house brand of health and beauty products sold at Walmart stores. A bottle of 100 Equate Gentle Laxative pills, which has the same active ingredient as Dulcolax, can be purchased at Pinellas County Walmart stores for less than $5. P.E. decided to throw the pills in the trash. Sometimes, obtaining a reversal of your conviction may not be feasible. The state may simply have amassed too much evidence against you at trial. Even if you cannot reasonably expect to obtain a reversal of your conviction, that definitely does not mean that you should abandon filing an appeal altogether. Sometimes, pursuing (and succeeding in) an appeal of your sentence can provide you with very significant benefits, including a lot less time behind bars. To make sure that you get a truly fair hearing, whether it is at your trial or at your sentencing hearing, be sure to obtain the services of an experienced Tampa Bay defense attorney to represent you. An example of a such a case where the defendant received a fair trial but not a fair sentencing hearing took place recently in DeSoto County. K.L. was arrested and charged with selling meth within 1000 feet of a place of worship and possessing drug paraphernalia. The state secured a conviction at trial. At the woman’s sentencing hearing, the prosecution called K.L. a “consistent drug dealer” and stated that multiple police officers could testify that K.L. had a “predisposition for dealing drugs multiple times to multiple people, not just this one drug sale.” The court allowed the state to use this evidence in the sentencing hearing. The woman appealed her conviction and her sentence. The appeal of the conviction went nowhere, but the appeals court concluded that the woman was correct in her challenge of her sentencing hearing. This meant that K.L. was entitled to have her sentence thrown out and to get a new sentencing hearing before a different judge. The problem with the first sentencing hearing that triggered a reversal and a new hearing was the trial judge’s allowing in impermissible evidence. The state argued during the sentencing hearing that K.L. had a history of engaging many instances of dealing drugs subsequent to the sale upon she was arrested. The state, however, had never charged the woman with any drug-selling crimes other than the one deal that was the subject of this trial. Based on charged offenses, the state had a record of K.L. dealing drugs exactly once. Sometimes, Florida can be famous – or infamous – for news stories with strange twists. While some of those twists might elicit a chuckle or two, the possible legal consequences for the subjects of those news articles can be profoundly serious. If you are facing arrest, it’s no joke. Make sure you retain a skilled Tampa Bay defense attorney. One possible takeaway from a recent South Florida news story is this: if you are going to cut off someone in traffic in Miami-Dade County, make sure it isn’t a law enforcement officer. One man made that mistake and found himself the subject of a traffic stop, according to a recent Miami Herald report. Once the police initiated the traffic stop, they found several things they deemed suspicious inside the man’s car. These included six guns, several bottles of strong cough syrup (without a prescription), suspected marijuana oil and nearly $20,000 in cash. The Herald report also noted that the police proudly touted the bust on a local TV station. “It’s amazing how something as simple as a traffic stop can lead us to crack a lot of cases,” the police told CBS 4. There was one not-so-small problem: it wasn’t a “good” bust. Sometimes, one might find oneself in an uncomfortable encounter with law enforcement. The officer suspects you of a crime. The officer is questioning you. The facts look bad, and you do not have a clear reply to dispel the officer’s suspicions. You have a couple of options at this point. You can invoke your right to legal counsel and refuse to explain anything, or you can go for a “far-from-run-of-the-mill” explanation. More often than not, if an officer is questioning you toward the end of possibly arresting you, the less you say the better. 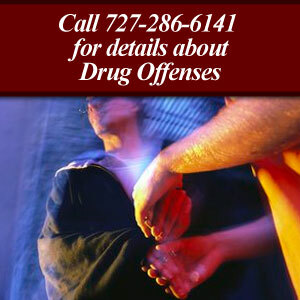 Instead, retain counsel and let your experienced Florida drug crime attorney handle the interactions with the police. A woman recently stopped by police in Fort Pierce went with a long shot of an explanation in her interaction with police, according to a news report from Local10.com. Law enforcement officers allegedly noticed her vehicle driving erratically and made a traffic stop. According to the police report, the officer detected an aroma of marijuana upon approaching the vehicle. The officer searched the woman’s car. The officer also searched the woman’s purse. Inside the purse, the officer found marijuana and cocaine in separate bags inside the purse. The woman informed the officer that the marijuana was hers, but the cocaine was not. What’s more, she professed not knowing for sure how the bag of cocaine found its way into her purse. Instead of leaving it there, she attempted to offer a possible alternative theory of the case. “I don’t know anything about any cocaine. It’s a windy day. It must have flown through the window and into my purse,” the woman theorized, according to the police report. If you or a loved one are facing criminal charges in Florida, there are many things with which you’ll likely need to concern yourself. However, one thing that you likely won’t expect to have to address is being found in criminal contempt of court unless you engage in some very improper behavior. In the case of one man facing drug charges, the Second District Court of Appeal reversed a contempt finding against him because he neither disrupted nor embarrassed the trial court. For all of the twists and turns of your criminal case, it is important to have an experienced Florida drug crime lawyer defending you at every step along the way. The case began when Ulysses was arrested in Hillsborough County on multiple drug charges, including cocaine possession, marijuana possession, and drug paraphernalia possession. On the morning of the man’s scheduled hearing, the man’s lawyer asked the court to “pass the case” (meaning to delay it briefly) because he and the prosecution were working on a plea deal, and he needed to discuss the terms with his client. Eventually, Ulysses’ attorney informed the prosecutor that he couldn’t ethically go forward with discussing plea deal terms with the defendant because the lawyer was concerned that the defendant was impaired. The judge called the lawyers to the bench, where the defense lawyer acknowledged, under questioning from the judge, that he smelled alcohol in the vicinity of the defendant. The judge then put the defendant under oath and asked him if he was under the influence of drugs or alcohol. Ulysses said no. The judge then ordered the defendant taken into custody and tested for drugs or alcohol. When you are accused of a crime, it is important to remember that the state has several obligations in order to secure a conviction. The prosecution, for example, must prove each element of the crime beyond a reasonable doubt. In the case of one man accused of dealing meth, the state’s case had one major problem. It lacked sufficient proof that the defendant had actual or constructive possession of the meth in question, so the man’s conviction had to be reversed by the Second District Court of Appeal.